the Supreme Court of India, for the first time, on September 22, 2006, issued an interim verdict banning all field trials of genetically modified (gm) crops in the country and slammed its regulatory mechanism. This means that the Genetic Engineering Approval Committee (geac) -- the gm regulatory authority under the Union ministry of environment and forests -- will not give any further approval to field trials of gm crop until the court delivers its final judgment. The order was issued in response to a public interest petition filed by economist Aruna Rodrigues and other experts. Devender Sharma, one of the petitioners, has welcomed the judgement. "The overhaul of the gm regulatory was long overdue," he said. The court has directed geac to form an independent experts committee to look into the regulatory aspects for release of gm crops. Following the directive, geac has formed a committee, headed by geneticist Deepak Pental, also the vice-chancellor of Delhi University. Anti-gm activists are unhappy about the development. "Dipak Pental is an ardent promoter of gm, his centre has been trying to develop many gm food crops. His decisions could be biased," says Kavita Kuruganthi of the Hyderabad-based Centre for Sustainable Agriculture. "Most of the members of the committee are from geac , which means the same story again," she adds. Defending the gm crop regime, a senior member of geac, says, "India was the first country in the world to formulate guidelines for gm crops in 1989, even when gm was in the preliminary stages of discussion." Besides, India's gm regulations are also considered to be one of the toughest, involving five statutory regulatory bodies including geac. Massive protests The court's decision came after massive campaigns by civil society organisations against gm regulations. The campaign intensified after geac approved field trials for 'Bt brinjal'. Cotton, as of now, is the only approved and commercially cultivated gm crop in the country. 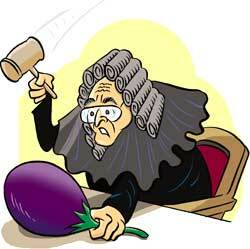 There are 70 more crops, including gm brinjal, awaiting geac approval. The impact of Bt cotton on environment and animal health has long been debated upon. There have been reports of sheep deaths in Andhra Pradesh in 2005 and 2006. The impact on human health is also a matter of concern. T Ramannaiah, director, department of biotechnology, Union ministry of science and technology (most), says Bt cotton oil can prove toxic if not refined. The failure of Bt cotton in Andhra Pradesh, Maharashtra, Karnataka and Tamil Nadu has spelt doom for farmers. A study by entomologist K R Kranthi of the Nagpur-based Central Institute for Cotton Research has shown that Indian Bt cotton is 10 times less effective against the major pests than its counterparts in the us. • What shape must a GM regime take in this country? "The fact that Bt cotton is 10 times less effective, questions the credentials of the regulatory bodies, the Review Committee on Genetic Manipulation (rcgm) and geac," says Rajiv Baruah, organic cotton farmer and one of the petitioners rcgm is a regulatory body under the department of biotechnology, most. In a judgment given on May 1, 2006, the court had ordered that geac would be the only regulatory authority. Citing conflict of interests in field trials, the court found rcgm, which conducts field trials, is the same establishment that also has biotechnology interests. "This ensures conflict of interests, as rcgm could easily be biased towards ensuring easy passage of gm crops," says Kuruganthi. She brands geac as nothing but a rubber stamp. "Previously, rcgm used to call the shots by conducting the field trials and bio-safety regulations. geac was a rubber stamp when it came to releasing the variety," she adds. But experts are not ready to buy this argument. Bhagirath Chaudhury, India's co-ordinator of the International Society for Acquisition of Agricultural Biotechnology, says, " rcgm was formed to provide technical support to geac. All the 28 members of rcgm are thorough experts and come from premier institutes in the country." Anti-gm activists equate Indian regulations to industry-dictated regulation in practice in the us. But according to a senior rcgm member, "India's rcgm comprises only scientists and has no one from the industry, unlike in the us. So, how can they both be equated?" There is another angle, the so-called illegal Bt cotton, mostly of a variety Navbharat-151, which the geac banned five years ago, covers more than 60 per cent of India's cotton area. "Unfortunately, we promote varieties which lead farmers to suicides and ban the ones which have added Rs 4,500 crore to farmers' income since 2002," says N P Mehta, developer of Navbharat-151.